Participants are required to report to the Housing Authority all changes in your income, assets, or household composition as outlined below. Additionally, you are required to provide any and all requested information to the Housing Authority in a timely manner. If you are late in providing documents, forms, or information to the Housing Authority, your assistance may be terminated. If you are unsure of the name of your Housing Programs Specialist, you may call the office and/or request an appointment in writing. All changes in your household composition must be reported promptly in writing to the Housing Authority. Some changes require prior approval or you risk losing your voucher. The following rules apply when making any changes to your household composition. If any member of your household moves out, you must notify the Housing Authority in writing within 14 calendar days of the move out date. The Housing Authority will verify the information and may conduct an interim recertification, if warranted. 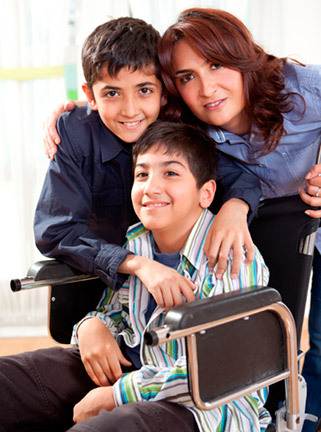 When a dependent turns 18 he/she will remain a household member unless removed by voucher holder. If you wish to add someone to your household you must get approval from the Housing Authority before allowing the person to move in. The Housing Authority will conduct its standard eligibility screening at that time. If the addition is a newborn, please provide the Housing Authority with a copy of the birth certificate and social security card. Please be aware that if you fail to provide proper notification and/or request advance permission regarding any changes in your family composition, your housing assistance may be terminated, or you may be responsible for paying back any overpayment of subsidy caused by the unreported information or violation. If the income of any family member has increased, you must notify us in writing within 14 calendar days of the date of the increase. We will verify the information you have provided, and make any necessary changes to your rental assistance. If there is an increase in income and you do not notify us in writing within 14 calendar days of the date of the increase, you will be required to pay a retroactive rent increase, effective the first day of the month following the date of the income increase. Additionally, if you do not notify the Housing Authority of any changes to your family income with the required timeframe, your housing may be terminated. If the income of any family member has decreased, you must notify us in writing within 14 calendar days of the date of the decrease. We will verify the information you have provided, and make any necessary changes to your rental decrease. Your rent will not be lowered retroactively. Additionally, if you do not notify the Housing Authority of any changes to your family income within the required timeframe, your housing assistance may be terminated. At least once a year, the Housing Authority will conduct a mandatory re-certification in order to recertify your household composition, income, assets, and allowable expenses. The re-certification can occur at any time up to 12 months from your entry into the Housing Choice Voucher program or your last re-certification. All adults must be present. In some cases, the re-examination may be done via first class mail. The annual re-certification packet will contain a letter of instruction and forms requesting the information needed to complete this process. You will have at least two weeks to complete the required forms and gather requested documentation for your Annual Review appointment. You will be asked to provide the three most current consecutive paystubs for all employed adults in your household. At least one of the three paystubs must be dated after the date of the “get ready” letter. If a member of your household is self-employed, you will be asked to provide tax returns, 1099s, and/or profit and loss statements for the most recent twelve months. You will be asked to submit all pages of a current original statement of benefits letter or action notice for any source of Social Security pension and/or Supplemental Security Income showing the amount of benefits that you or a member of your household are currently receiving. The letter must be dated AFTER the date of the “get ready” letter. To obtain a new letter from the Social Security Administration, you can call 1-800-772-1213 or visit their website at www.ssa.gov. You will be asked to submit all pages of a current original statement of benefits letter or action notice for any type of Cash Aid or Welfare Assistance, such as Temporary Assistance for Needy Families (TANF), previously called Assistance to Families with Dependent Children (AFDC), or CALWORKS, showing all benefits that you or members of your household are currently receiving. You will be asked to submit documentation of any other income that any member of your household receives. You will be asked to submit three months of all pages of a current bank statement for all checking, savings, and other types of bank accounts. The statement may be either an original or a copy, but it must include the name of the account holder, the account number, balance and bank name and address. For all other assets (such as stocks, bonds, CDs or other assets), you will be asked to provide current original statements from the financial institution. The Housing Authority may independently verify information you submit. There are also sources available to the Housing Authority which may indicate information you have not submitted. If later it is found that you did not fully inform or comply with the application, your voucher could be terminated and you could be responsible for rental subsidy paid on your behalf by the Housing Authority. You must respond to all Housing Authority requests for information by the due dates established, or you could lose your housing assistance. The sooner you submit all requested information to the Housing Authority, the sooner we can complete your recertification and notify you of any changes to your portion of the rent. 1. How do I report an income change? 2. How do I update my mailing address and telephone number (English)? Click here for Spanish. 3. I recently got married. What do I do? 4. How do I add my newborn? 5. Does my child have to move out at age 18? 6. Who is my Housing Programs Specialist (HPS)? 7. How do I make an appointment with my HPS?